In this powerful new collection, Betsy Struthers turns her poetic gaze on personal stories of joy and woe and how they overlap with others in ways we never imagine. The relay begins in a bar in the shadow hour between work and dinner, where The Romantic (who’s looking for love) unknowingly passes the baton of autobiography to 26 other characters who pass it on in turn. Finally it returns to the bar in the tale of The Regular (stunned by his wife’s infidelity) and The Realist, the bartender who “Watches. Judges. Passes sentence.” Links along the route include The Student travelling in Asia who writes an email to his parents about meeting an older woman, a breast cancer survivor, The Single. The Good Daughter frets about the slipping health of her mother, The Dog-Walker, who witnesses an act of violence that brings The Officer to the scene. The Neighbour, who has watched The Student from the time he learns to ride a bike until he heads off on his travels, also watches the comings and goings to the park where The Lover conducts her affair in the back of The Other Lover’s family van. 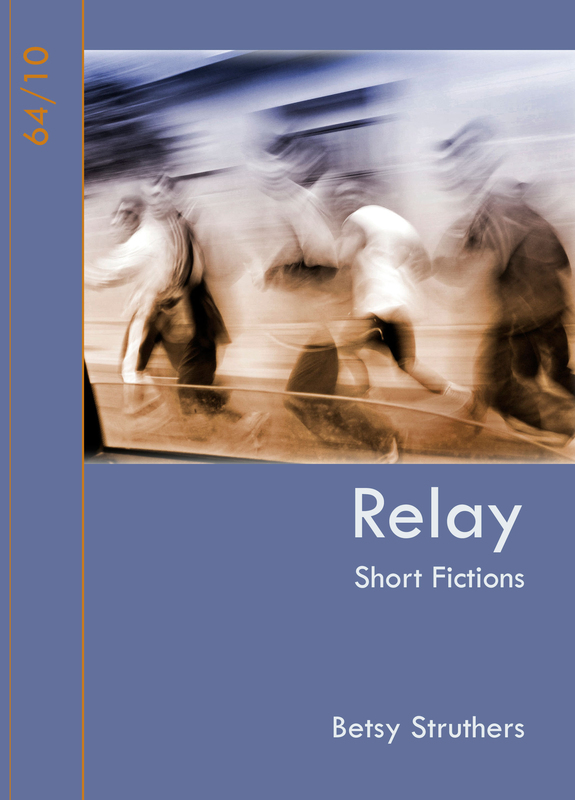 Each of these 27 “micro-stories” is whole in itself, capturing a moment in which characters confront what time and chance has brought into their lives. Strung together into a larger narrative, Relay presents a picaresque, intertwined portrait of modern life in all its rich complexity.